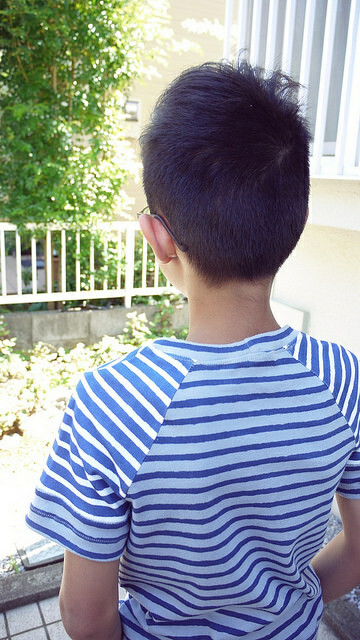 One day Sidra declared that he no longer wanted to wear ‘T-shirts with faces on it’, which means most of his T-shirts. 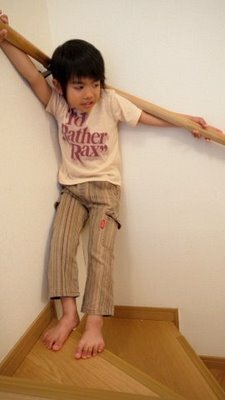 He said that these T-shirts are too childish which doesn’t make sense because he is a child after all! But anyway he’s in constant need of new clothing as he keeps growing, so I made him some new ones. 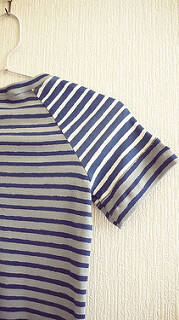 The first one is a striped T-shirt with little pocket made with leftover fabric from my striped Jorna dress, the pattern is from one of my Japanese pattern book. 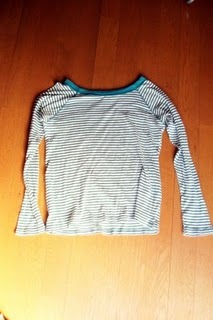 He quite likes it so I bought some cotton jersey with these interesting stripes. I’ve seen some T-shirts with stripes in different color and I wanted to make him one. 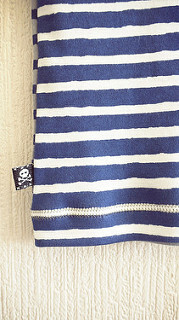 The pattern is Biscuit by Tamanegi-Kobo, a Japanese pattern store. 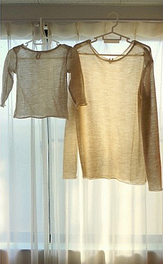 The sleeves are cut in such a way that from the front they look like a regular T-shirt sleeves, but from the back they are has raglan sleeves. 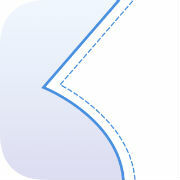 The pattern is in Japanese but it is a simple one so you won’t find too many difficulties making it. 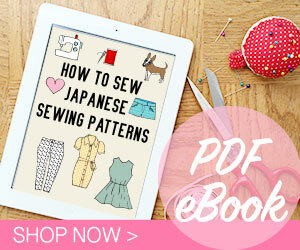 It is also a free downloadable pattern! I regretted that I only bought 50 cm of each stripes fabric. Turned out that he’s taller than I thought and needed a bit more in length. Initially I didn’t plan to use different pattern on the sleeves but they were also a bit short so I added a strip of different fabric to lengthen them. 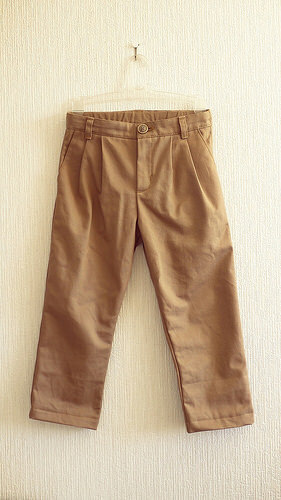 I also made a pair of pants with cotton twill in dark khaki color. 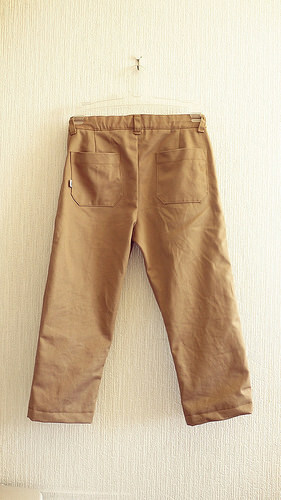 The pattern is Banyan trousers by Figgy’s, I have bought this pattern sometime ago but never had the chance to make it. 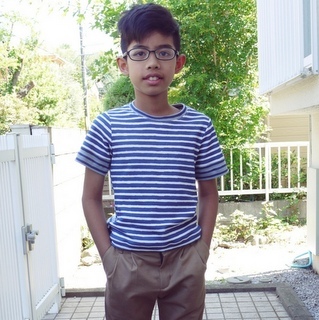 Although Sidra is 11 years old, his size matched size 6-7 to this pattern. 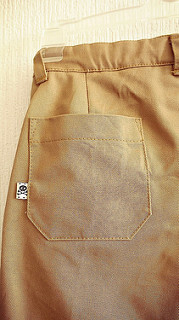 He wanted his pants about calf length so I didn’t have to lengthen the legs at all. 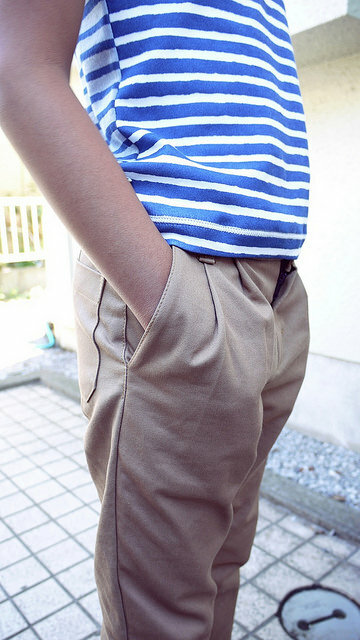 The pairings of striped T-shirt and calf-length khaki pants is actually quite trendy right now here, so I think he looks like a mini adult in his new outfit! 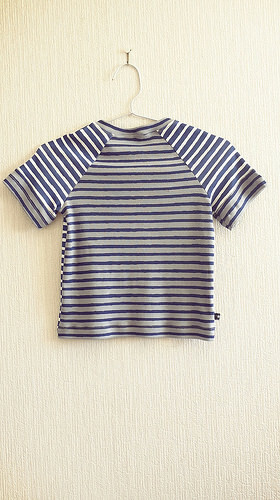 Tee pattern (black and white) is from クライ・ムキの子供服―Simple+one (別冊家庭画報), size 130. 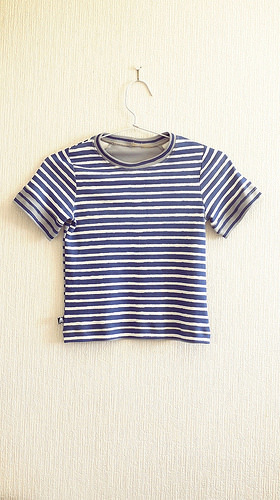 Tee pattern is Biscuit (Free PDF pattern – Japanese) by Tamanegi-Kobo, size 130. 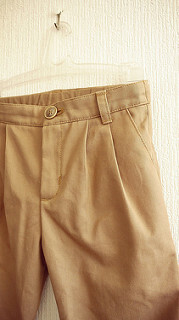 Pants pattern is Banyan pants by Figgy’s, size 6-7. 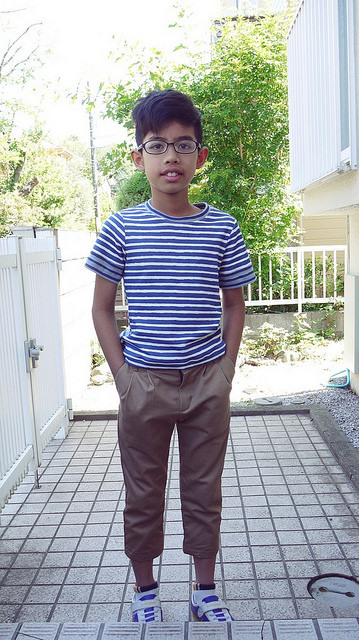 On another note, Sidra has now reached more than 130 cm in height which is the tallest size in most Japanese kids pattern books. Since I won’t be using these books anymore, I set up a store to sell them: Fuwawa Sensei. There’s also sewing pattern books for women and other Japanese craft books, most are still in good condition. Please visit the store and thank you!